Kleenheat is WA’s born and bred energy company with a track record for delivering genuine ongoing value to households in our home state. Now RAC members can enjoy bigger savings on natural gas or LPG thanks to our exciting local partnership. Switch and save up to 38% on natural gas usage charges for 2 years* with Kleenheat, plus ongoing value from WA’s local provider. Enjoy $30 off a 45kg LPG cylinder order each year* – redeemable online or at a Kleenheat branch or participating dealer. If you’re a current Kleenheat natural gas customer and also an RAC member, you’re all set to boost your savings! We’re talking a 28% discount on natural gas usage charges for 2 years* with Monthly Smart Saver; or 15.5% off natural gas usage charges* when paying Standard Form Contract bills on time. That’s it! We’ll take care of the rest from our end and apply your new and improved discount from your next Kleenheat invoice. Simply order a Kleenheat 45kg LPG cylinder for your home and enjoy $30 off your next cylinder purchase – extra value you can look forward to every year! Enter you RAC membership number when placing your cylinder order and your $30 discount will be available for your following cylinder exchange, redeemable once a year online or at any Kleenheat branch or participating LPG dealer. Getting started is quick and easy – just complete our online signup form or call 13 21 80 and you’re on your way to reliable service with WA’s local name in LPG. What’s this partnership all about? Kleenheat and RAC are two proud WA brands with a commitment to providing genuine ongoing savings to their customers and members. For us, partnering with RAC was a great fit – we’re both committed to supporting our home state by providing the best possible value for those who choose local. Offering RAC members the opportunity to save more on their gas bills demonstrates yet another benefit that comes with supporting locally-based companies. Why should I choose Kleenheat? We’re a WA born and bred energy company with a track record for delivering genuine ongoing savings to households in our home state. We’re open and honest about providing the best possible value, with a track record for only ever increasing our discounts on natural gas usage charges. For 60 years, we’ve also been supplying LPG to thousands of households across WA and the NT through our vast network of local agents and dealers. With Kleenheat LPG, you can look forward to reliable supply and delivery, easy online ordering, and friendly and reliable local support. Choosing Kleenheat also means no fixed term contracts, establishment fees or transfer fees – just ongoing value and the opportunity to be part of exclusive customer offers, giveaways and competitions. How does this exclusive RAC membership offer stack up? Kleenheat’s open about honest about offering real and ongoing savings, with our 25% discount on natural gas usage charges guaranteed for 2 years and backed by our proud track record for only ever strengthening natural gas discounts. It’s important to keep in mind some competitor natural gas offers are only valid for 12 months, so consider the potential for discounts to change after just one year. LPG customers can look forward to a big savings too – a $30 discount on a 45kg cylinder order each year – all backed by reliable, local service and support. Switching to Kleenheat natural gas takes just a few minutes online, over the phone on 13 21 80, or at one of our handy kiosks at local shopping centres. You don’t even need to contact your current provider – we take care of everything from our end. Choosing Kleenheat for your LPG is quick and easy, too – just head fill in our simple online signup form and you’re on your way to reliable service with WA’s local name in LPG. Once you’ve been issued an account number you can order, pay and confirm your delivery day. How long does Kleenheat’s offer to RAC members last? This special offer is valid for RAC members until 21 January 2021. If you cease to be an RAC member or the RAC Member Benefits Partner Agreement between RAC and Kleenheat expires or is terminated, discounts on gas usage charges will revert to 35% for Monthly Energiser, 25% for Monthly Smart Saver and 12.5% for Standard Form Contract, while the $30 LPG credit offer will be discontinued. 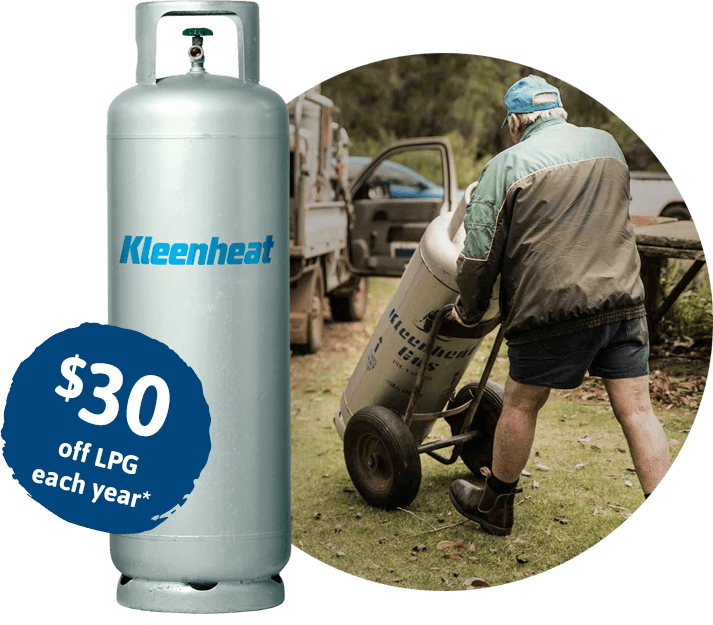 LPG $30 credit: This offer is only available to RAC members who are Kleenheat LPG 45kg cylinder residential customers and Western Australian residents. To receive $30 off your next LPG 45kg cylinder you must have purchased at least one 45kg cylinder at the normal retail price from Kleenheat or a participating Kleenheat retailer. You must register for the discount at the time of purchasing a 45kg cylinder. To register you will need to provide a valid RAC membership number. Once registered, a $30 credit will be available to be used on your next 45kg cylinder purchase. A maximum of one $30 credit can be redeemed per residential property per annum and the credit is valid for 12 months. 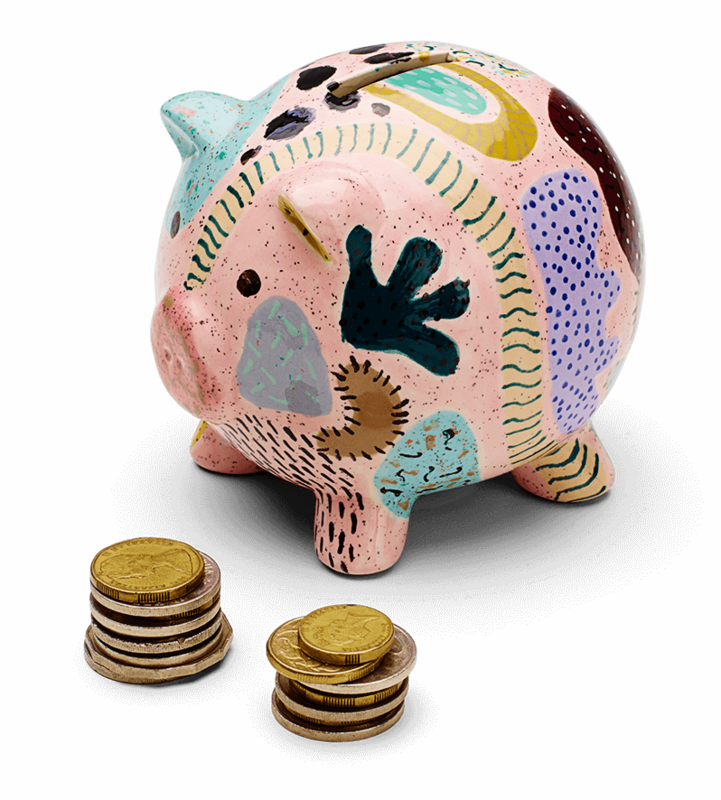 The credit value is not transferable and cannot be exchanged for a cash refund. If the account is cancelled at any time, any unused promotional credit value will be forfeited. This offer cannot be used in conjunction with any other promotional code offer. Offer valid until 21 January 2021 or any earlier termination of the RAC Member Benefits Partner Agreement between RAC and Kleenheat. 38% discount off the usage component of the standard tariff for two years when selecting the Monthly Energiser plan. To take advantage of this offer, you must enter your valid RAC membership number during the sign up process, and your application must be accepted by Kleenheat. If you are an existing Kleenheat Monthly Energiser plan customer you can take advantage of this offer by applying your RAC membership number to your account and the new discount will apply from your next invoice. If you cease to be an RAC member then the discount will revert back to 35% off the usage component of the standard tariff. Existing Kleenheat natural gas customers on the Monthly Smart Saver plan or Standard Form Contract are not eligible for this offer. This offer cannot be used in conjunction with any other promotional code offer. Other terms, conditions, fees and charges apply. See kleenheat.com.au. 28% off the usage component of the standard tariff plus $50 credit when selecting the Monthly Smart Saver plan. To take advantage of this offer, you must enter your valid RAC membership number during the sign up process, and your application must be accepted by Kleenheat. If you are an existing Kleenheat Monthly Smart Saver plan customer you can receive the 28% discount by applying your RAC membership number to your account and the new discount will apply from your next invoice. If you cease to be an RAC member then the discount will revert back to 25% off the usage component of the standard tariff. The $50 credit will be applied to your new Kleenheat natural gas residential account and will be shown on your first Kleenheat bill. The credit value is not transferable and cannot be exchanged for a cash refund. If the account is cancelled at any time, any unused promotional credit value will be forfeited. Existing Kleenheat natural gas customers are not eligible for this promotion. Kleenheat Standard Form Contract customers will receive a 15.5% discount off the usage component of the standard tariff provided they pay their bills by the due date, and will also receive a $50 credit on sign-up. To be eligible for the 15.5% discount, you must enter your valid RAC membership number during the sign up process or apply your RAC membership number to your account. If you cease to be an RAC member then the discount will revert back to 12.5% off the usage component of the standard tariff. The 38% Discount applies to the gas usage charges only. The Discount will apply for a minimum period of two years from the Acceptance Date. Only available to RAC members. If you cease to be an RAC member, or the RAC Member Benefits Partner Agreement between RAC and Kleenheat expires or is terminated, then the Discount will revert to 35%. The 28% Discount applies to the gas usage charges only. Only available to RAC members. If you cease to be an RAC member, or the RAC Member Benefits Partner Agreement between RAC and Kleenheat expires or is terminated, then the Discount will revert to 25%. As a Kleenheat Standard Form Contract customer, you are eligible for a 15.5% discount off your gas usage charges (“Discount”) provided you pay your Bills by the due date – see below for further details.